The country of rich history that has kept many antique and medieval sights, Macedonia is famous not only as an international centre of history and culture, but also as a popular destination for mountain tourism and active rest. The most popular landmarks are located in the capital of the country, the city of Skopje. The centre of the city is the location of the beautiful Kale Fortress that was built in the 11th century. The square, which surrounds the fortress, is also the largest market area in the city. Daud Pasha Baths are another interesting destination in Skopje. Originally built by Turks, the baths have been converted into a picture gallery. Shopping in Macedonia - best shopping places, what to buy? There are several important religious landmarks in the city, such as Sveti Spas Church, Mustafa Pasha and Sultan Murat Mosque. The old part of Skopje also has such interesting places as the Museum of Macedonia, the Museum of Modern Art and the National Theatre of Macedonia. The majority of cultural facilities are located in the newer part of Skopje. Here travellers will find several exhibition galleries, theatres and museums. Such places as the City Museum, the Historic Archive of Skopje, the National Museum of History, the Museum of Natural Science of Macedonia, the Culture Gallery and the building of Academy are also known as the most interesting cultural and educational facilities of the city. The piedmont region of the country is home to several old monasteries that were named after St. Andrew, St. Jovan Bigorski, St. Nikola Shishovski and St. Geoge’s Church. All the buildings were constructed in the 12th – 15th centuries and keep many precious religious artefacts, collections of icons and furniture. Finally, travellers, who enjoy attending various excursions, are recommended to visit the city of Ohrid. It is located on the shore of a beautiful lake and was founded by ancient Romans. 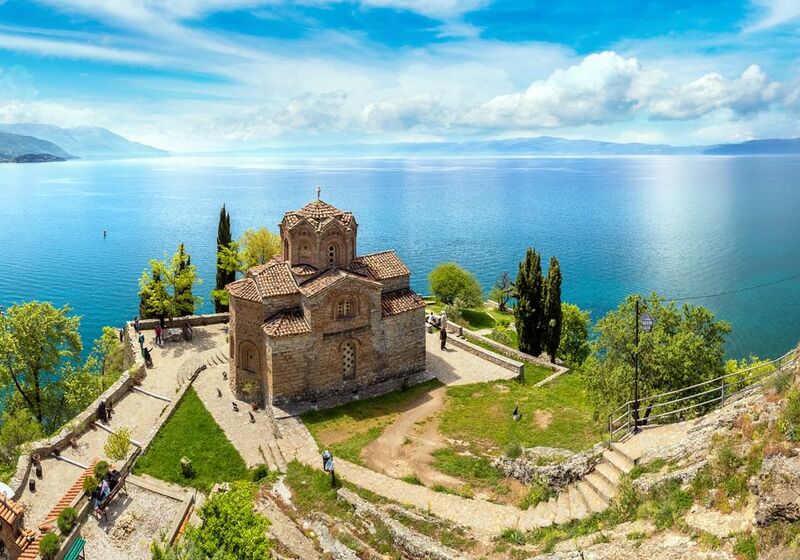 Nowadays Ohrid attracts numerous visitors who come to see its main landmarks – Samuel Fortress, Sveti Sofia Basilica and Sveti Jovan Kaneo Church. A visit to these wonderful historic buildings will surely leave many warm memories. The history of the modern country dates back to the ancient times. In the prehistoric period, it was a location of the country of Paeonia. Later, it was a part of the Roman and Byzantine Empires. During certain periods, the country was under the neighboring Kingdom of Bulgaria and Serbia. One of the longest periods in the history was the Ottoman rule. In 1913, when the Ottoman Empire fell, some part of Macedonia was under Serbia and some other part – under Greece. After the end of the Second World War in 1945, the Socialist Federal Republic of Yugoslavia including Macedonia was formed. The country gained independence in 1991. Macedonia is considered as a perfect country for active holidays in the open air. Different sports entertainments are accessible to travelers here. Enchanting lakes are popular places for beach recreation and attract fishing fans. Some mountain rivers are perfect for rafting. One of the most popular entertainments is the hiking along picturesque natural sites. In Macedonia, there are also places for classical tourist activity. During your vacation, you should definitely pay your attention to shopping. Besides modern shopping malls, there are craft stalls where you can buy interesting hand-made items. Excellent leather shoes are produced here. Jewelries with pearls are also popular souvenirs with tourists. Some craft stalls resemble art galleries more and sell unusual wooden paintings. Many travelers prefer to do the shopping on markets where they can buy inexpensive clothes in national style, spices and popular national sweets. The national cuisine of Macedonia has a lot of interesting features too and deserves gourmets’ attention. At national restaurants, delicious meat dishes of the Turkish cuisine are served. The typical national dish is bourek, that is a pie of puff pastry with meat or cheese filling. In local lakes, tasty trout is caught and a lot of special national dishes are cooked of it. This article about iconic landmarks and sights of Macedonia is protected by the copyright law. You can re-use the content, but only under the condition of placement of an active link to www.orangesmile.com. The center of attraction for Christian pilgrims in Albania is an ancient town of Pogradec that is famous for its religious sites. In this town you can see the ruins of the ancient Christian basilica, which were discovered during a recent archaeological research. Fragments of ancient buildings are in the national park Drilon. Age of the basilica is more than 1 500 years. 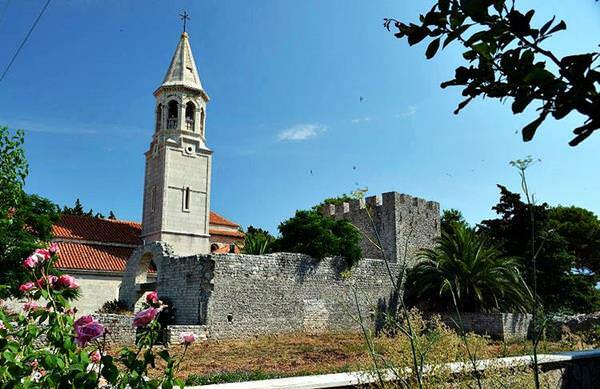 In total, about 10 old Christian basilicas were found in Albania. They were built in 4-5 centuries AD. All of them have their own unique history. A curious story is related to the Christian basilica, located in Pogradec. There are several groundwater springs next to it.